This next franken was made by Chris over at Lacquer Ware for Tips and Toes. She is definitely one of the franken masters in the nail polish blogging world. This next color is a spectacular holographic greatness. She doesn't remember how she made it, but I'm going to guess her body was momentarily taken over by some magical fairy princess with special powers because it's that great..or Chris is a magical fairy princess? 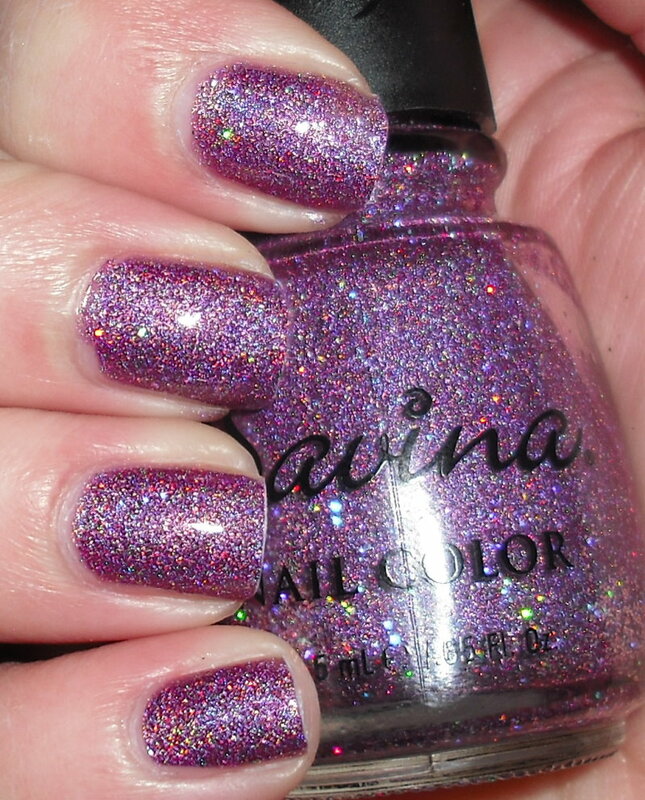 Figment of the Imagination is a medium purple that leans slightly to the red scattered glitter holo. Yeah, I'm pretty blown away. this holo is just as good as the China Glaze Kaleidoscopes. I named this color. This color reminded me of Figment the dragon, from the "Journey into the Imagination" ride at Disney Epcot. I'm just going to do a small blurb of this since I'm sure you all have seen it enough, but Zoya is doing a BOGO free promo on their summer colors. If you're interested in these I'd suggest taking advantage of this offer. SO PRETTTY. Chris you're a genius! She did a great job and you wear it well! OMFG! Wow Bravo Chris. This is beautiful! I love the insane sparkle in it. Looks amazing on you. ps. I LOVE Figment, I was obsessed with him as a kid.